Argonaut Resins is ending 2016 in style with some killer new releases! After their successful debut in the Resin is King Blind Box Series 3, Argonaut Resins is finally releasing a standalone wave of Halcon Falcon resin figures. 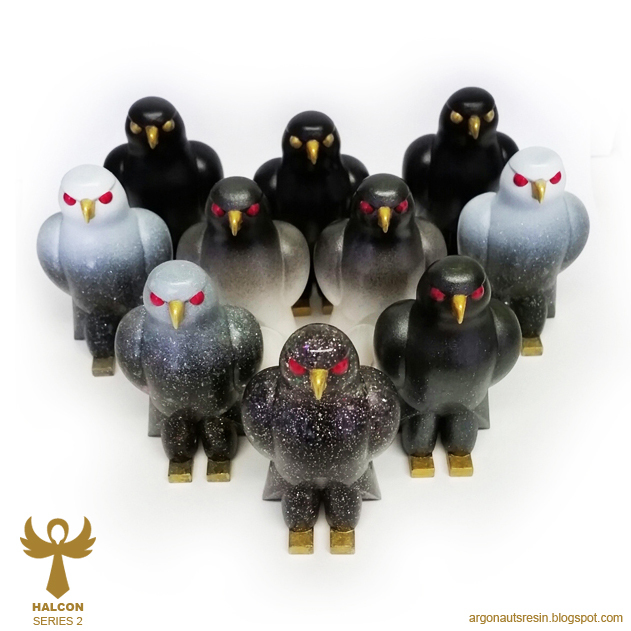 Standing 2.75” tall, this resin bird is currently available at the Argonaut Resins online store in a killer new blind boxed edition of just 10 pieces. This wave includes some black Maltese Falcons, some clear tint glitter versions, and a bunch of variants and chase figures. 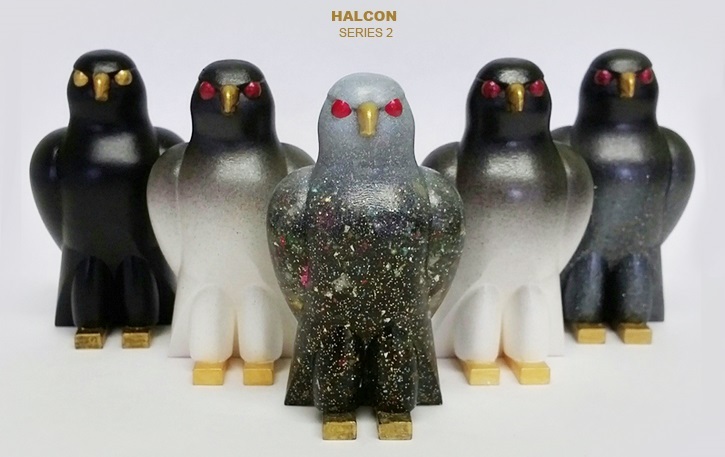 Each Halcon Falcon comes signed and numbered on their bottoms and header cards by artist/creator Eric Nocella Diaz and retail for just $30 shipped in the US.